The Ice Cream Social is tentatively planned for Thursday, September 6th, just after lunch for all grades. 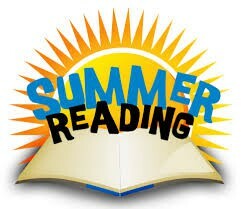 Students need to turn in reading logs to their teacher by Friday, August 24th. The absolute deadline is Tuesday, August 28th. New Books in the library and more to come! New Books! New Series! New Fiction!